With Crackdown 3, starring Terry Crews, coming out in about a week, let’s quickly look back at the game that started this franchise. 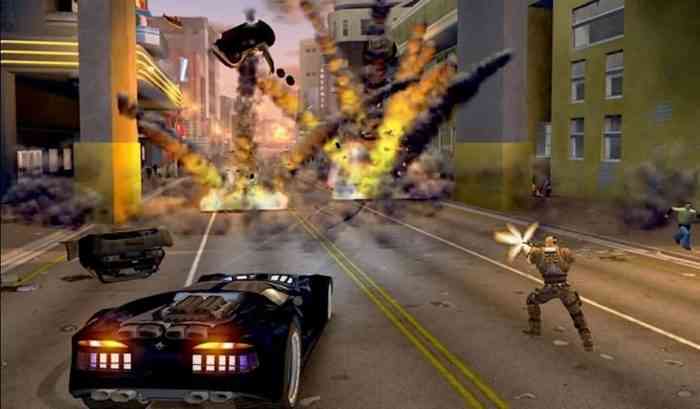 Back in 2007, there was a cell-shaded open world game called Crackdown. The game’s charm was not what drew players though. The game carried access to the Halo 3 beta, that’s why people bought it at first. To everyone’s surprise, Crackdown was actually really good. With the superpowered cop jumping around, busting gang members, and blasting the experimented mockeries of human life, Crackdown quickly won people over. Now that the third game is coming out, Microsoft is making the first Crackdown available to all Xbox One owners. Nostalgia is a powerful force. Microsoft is using that to their advantage here. Getting Crackdown into the hands of its old fans might bring back some of the love that they need to pick up Crackdown 3. It was first made available on Xbox One through backwards compatibility last year during the X018 fan festival. As part of the announcement, it was made free for a short while, but is it as good as we remember? Nostalgia is a powerful force, but it is also a dirty liar. For anyone who has not played Crackdown in the last decade, it has not aged too too well. The missions are repetitive, actually everything is repetitive. And don’t think Crackdown 2 will hold up any better, or even as well. It is not a huge disappointment; fans will definitely have some old feelings brought back. Now looking to the horizon, Crackdown 3 is coming out for Xbox One and PC on February 15th. Are you going to partake in the Crackdown 1 offer? Will you be picking up Crackdown 3? Let us know in the comments below.